This is the first year that Robotics is a Varsity Sport in Texas! Be one of the first schools to compete in the new events. 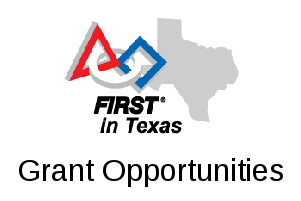 During this training you will learn about the fundamentals of coaching a robotics team in the FIRST Tech Challenge (FTC) and FIRST Robotics Competition (FRC). Learn how to organize your team, understand project management for the season, implement the most effective ways to build and program a robot. We cannot promise you a winning team, but we will promise you will learn a lot in this training that will make you a better coach and give your team a leg up on the competition. Activities will include building a robot chassis, robot programming, and robot attachments. Tuition: $550, includes supplies and snacks. Registration: This professional development course is open to all teachers at the 9th through 12th grade levels. Register here!